I had the pleasure of meeting Gill at the Station Theatre display last week. She kindly brought with her the ‘Memories’ article below and some really great photographs that I shall load later. I travelled on the Hayling Billy train from West Town to Havant from 1960 to 1962 as I was attending Portsmouth College for a year, and then working in Havant at Butterick Publishing Company. Every morning was a race from West Lane to the station to meet the Guard (Mr Tustrall) waiting outside in the road counting his usual passengers and seeing if anyone was missing. On the train, breakfast was finished off, then the make-up put on, as there were separate compartments with mirrors, and finishing off any homework. There was a wonderful family atmosphere knowing everyone on the train. The queues at the level crossing at Langstone used to be quite long in those days, and people used to moan about the train holding them up. I really loved that train, and was very sorry to see it close. 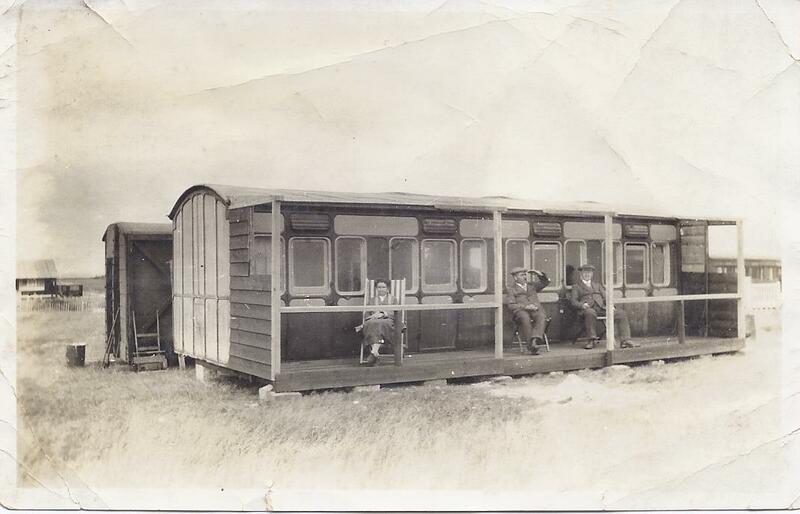 It is ironic that my family came down to Hayling in the 1920s, and stayed in converted railway carriages. These were later converted into holiday accommodation for all the Lush family. My grandparents then moved to Hayling after the war. My parents lived in West Town until the late 1990s. My father, John Lush, was known as the ‘Vintage Motorcycle Man’. We had a railway carriage just like that at the the bottom of our garden on Grand Parade, Hayling. It was great fun to have somewhere of our own when we were kids!